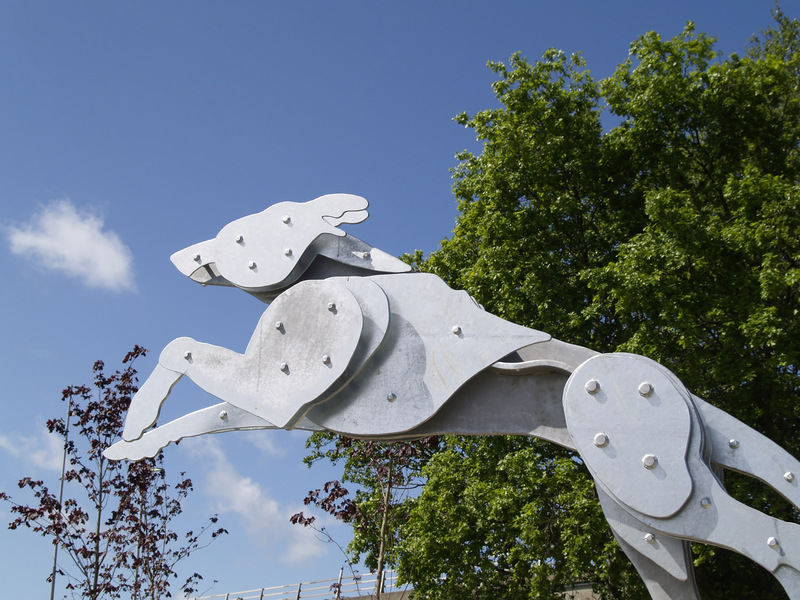 The old greyhound racetrack that existed here from 1931 – 2010 is remembered well by many of the people that live in Tipner, Portsmouth. 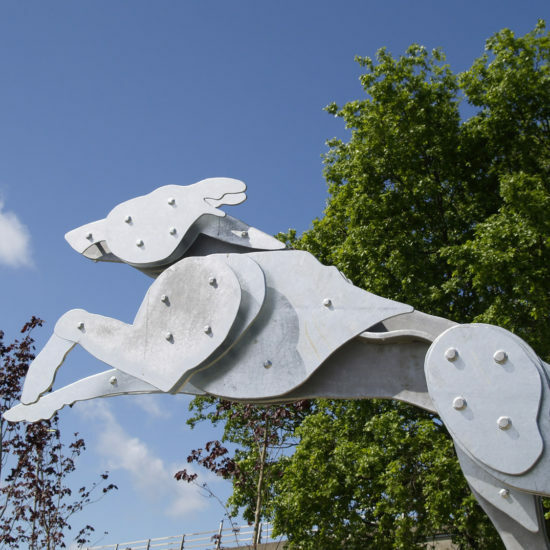 The sculpture acknowledges this memory and celebrates local enthusiasm for the regeneration and a new beginning for the area. 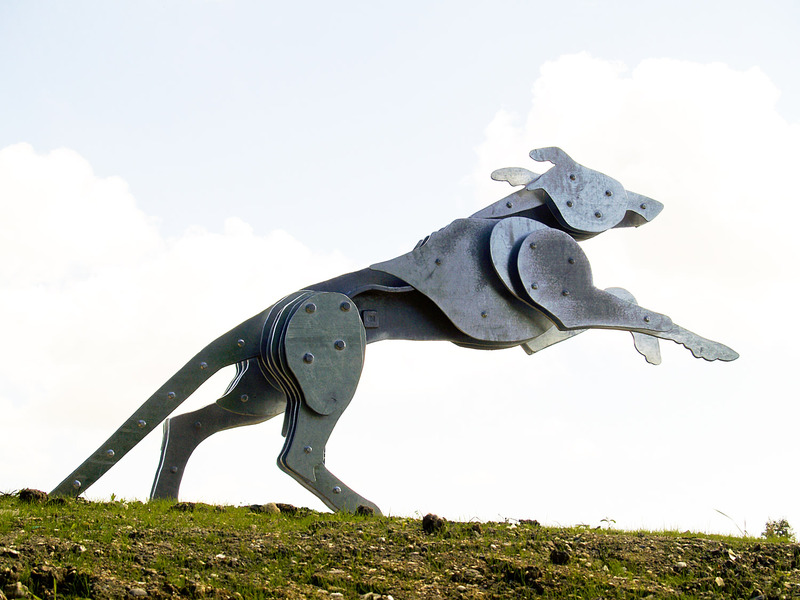 A huge 2.5 metre high greyhound leaps up joyfully, running free across a hill planted with wild grasses towards a new future. 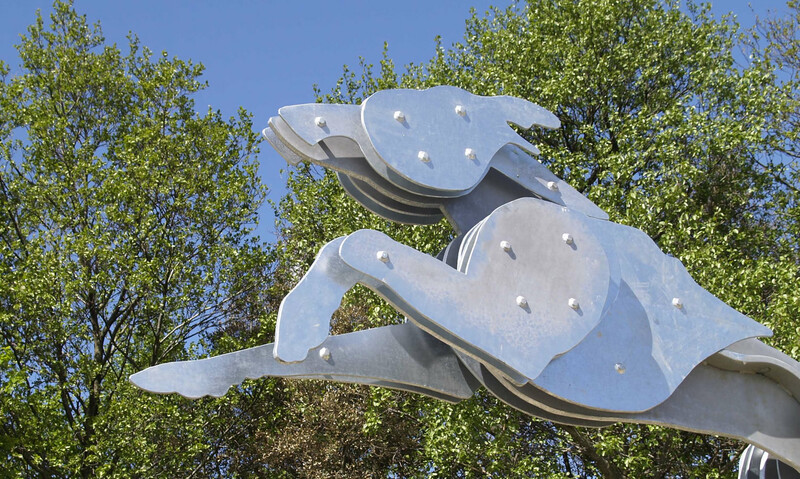 On approach from the sides the artwork presents as a series of linked linear mild steel panels. 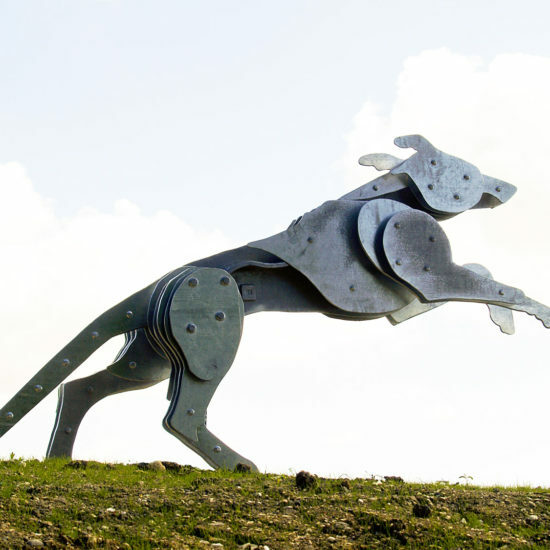 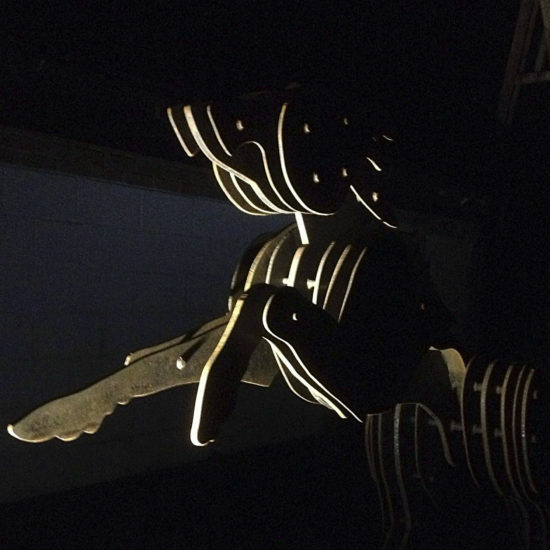 These come together, when travelling around the piece to the front, to reveal the complete hound. 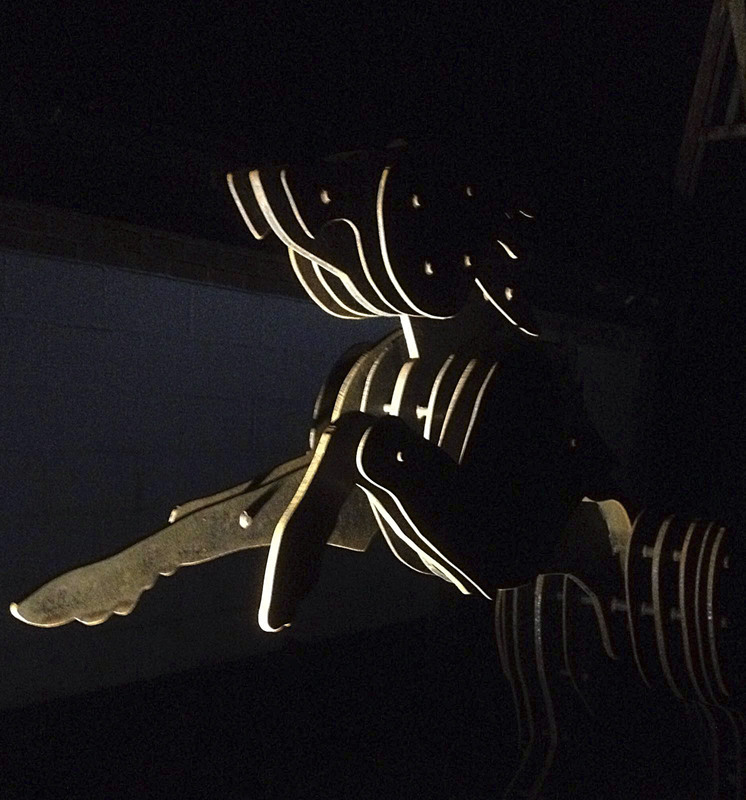 Illumination at night accentuates the form and introduces a further aesthetic. 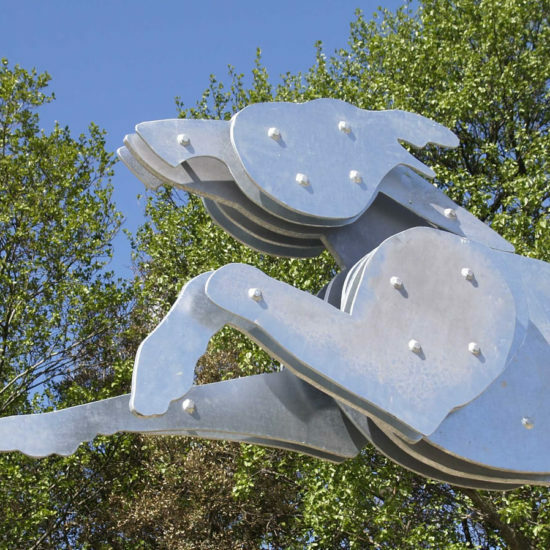 The layered, cut and riveted galvanised steel plates are evocative of local maritime industry.